Loading is a lot simpler than this lengthy guide makes it sound. Usually to load a machine it only takes 5 minutes. Get bills, put them in the machine, update the number of bills in the ATMs computer, done. The reason this guide is so long is because we wanted it to be as comprehensive and detailed as possible, in order to impart all the useful knowledge and advice that we have gained from years of experience loading ATMs. Most of the steps in this guide can apply to almost any ATM, but this guide specifically details the process for loading ATMs manufactured by Hyosung, which are the ones we usually use/sell. This applies to the Hyosung models: Halo 2, Halo, Halo-S, 2700, 1800, 1500. 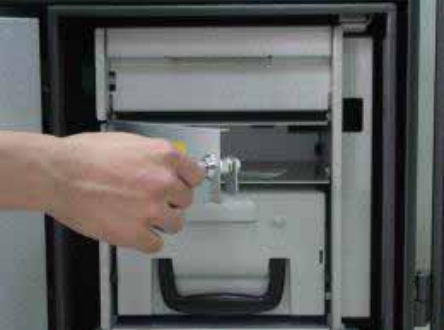 For ATMs made by other manufacturers, such as GenMega, Triton, Hantle, or other ATM manufacturers, the process is mostly similar, but a few things are slightly different, mostly the steps at the end. Most of the ATMs we sell/place have a single, 1000-note cash cassette, and dispense only $20 bills. With the standard 1000-note cassette, a maximum of $20,000 can be loaded. Go to your bank and withdraw however much money you want to load in $20 bills. If you want to withdraw a larger amount of bills, such as $20,000, you may need to call your bank branch and give them a couple days notice. Some loaders will just get cash from their local bank’s ATM. If you want to withdraw large amounts of cash from the bank ATM you should contact your bank and request to raise the withdrawal limit on your debit card. Many banks have a limit of $4000 per withdraw. How frequently should I load the ATM? Factor 1: How much is the ATM being used? How many transactions is the ATM doing per day/week/month? Machines that aren’t as busy won’t need to be loaded as frequently. Factor 2: What is the average withdrawal amount? Locations where the average withdraw is $20 are going to need to be refilled a lot less frequently than locations where every person that uses the ATM takes out the maximum amount. 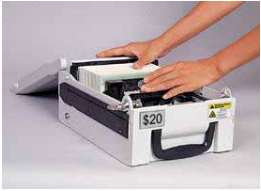 With most of the machines we place, the maximum withdraw is set at $200. If you own the machine you can set the maximum withdrawal amount at what ever you want, but you might have to load it more frequently if you do so. Average withdrawal amount for all industries is $60. Let’s consider two scenarios, considering the loader has only $2500 available for loading. The machine is rather low-volume only doing 50 transactions per month. Everyone that uses the ATM takes out the minimum amount and does a $20 withdrawal. 50 transactions per month x $20 withdrawal = $1,000 per month. The machine is very busy, doing 375 transactions per month. Everyone who uses the machine takes out the maximum amount and does a $200 withdrawal. 375 transactions per month x $200 withdrawal = $75,000 per month. You would have to load the machine with $2500 every single day. The table below illustrates how much cash will be required for various transaction volumes. This is based on the average cash withdrawal, which is $60. You will want to only use bills that are in good condition. The bills do not have to be brand new or in perfect condition. In fact having brand new bills can be a problem. Two brand new bills can stick together and occasionally this will cause the machine grab both bills “a multiple pick” and they will be sent to the reject bin. If you were given a lot of brand new bills you can avoid this by slightly crinkling the bill, or by shuffling and separating them by placing an old bill in between two brand new bills. Bad or old bills can get caught int he dispenser and cause a “bill jam” and then your mahcine will be out of service until you can remove the bill. Some loaders skip this step and just deal with a bill jam if it occurs. This is less problematic if you’re there on site with the ATM very often. If you have to drive far to load the machine or make a special trip to load it we would definitely advise going through the money. We usually do this beforehand at the office, at home, or in the car. For security purposes, this step shouldn’t be done publicly in the business while you’re trying to load. Some loaders do it right there at the bank. Then you can ask the bank teller to replace the bad bills. TIP: Some banks will do this step and go through the money for you! This is quite uncommon if the bank branch is a very busy one, but we have heard of some banks which you can call before coming, request how many bills you want and they will have a nice perfect stack awaiting you upon your arrival. Torn – It is crucial to make sure the bill doesn’t have a tear from the fold line in the center. A tear in this spot is likely to cause a bill-jam when the lip of the dispenser tries to grab it. You can easily and quickly tell if the bill has a tear by holding the bill at both ends and ‘rotating’ each end slightly. If the bill has small tears that aren’t in the center, it isn’t as big of a deal, but if the tear is too large we recommend removing it. Broken Section – If a bill has a torn off corner, or broken section, we recommend removing it, although if the broken section is small enough it won’t make a difference. 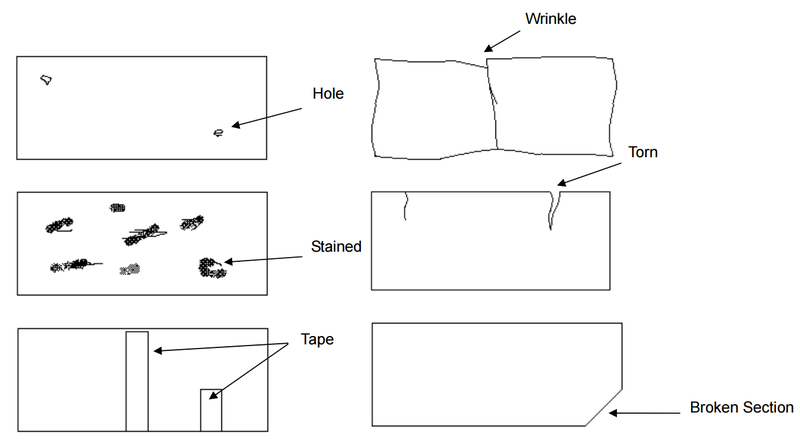 Stains – Some bills will have stains or gunk on them which make the bill sticky. Holes – Some old bills will have punctures or holes. Tape – Remove any bills that were torn and taped back together. 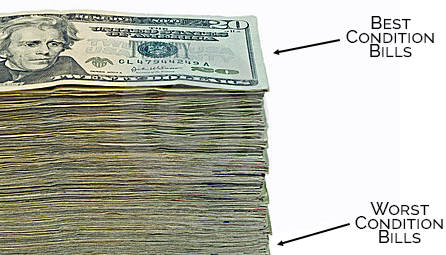 Folded Corners – If the bill has a folded-in corner, usually it’s okay. Just make sure you unfold the corner of the bill and flatten it out. While the good bills are pretty easy to spot, the condition of some bills may be questionable. We recommend using a strategy in which good condition bills are placed in the front of the stack, and the bad condition bills are placed toward the back. This is beneficial because the bills that are more likely to cause a bill-jam in the dispenser will dispense closer to when the ATM is running low on cash. If a bill jam occurs it will likely be around the time you would have been needing to reload the machine anyways. Easily remember which bills are good by always putting Jackson’s face forward. 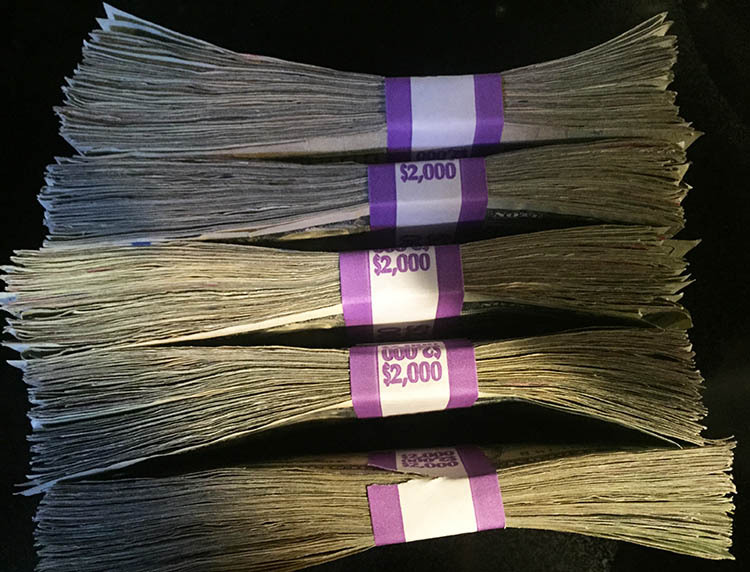 Once you have a stack of good bills, fan the notes so that the notes are not sticking together and wrap a rubber band around them. 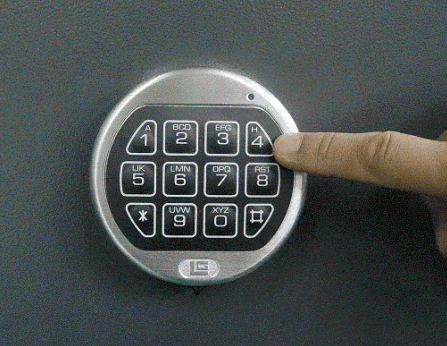 Use square key to unlock the lower front panel (security cover) which covers the safe’s lock. Enter passcode (defalt 123456) to unlock. You will hear two beeps. Prineta only sells machines with electronic locks. 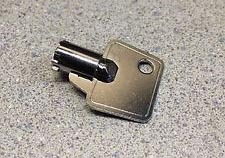 If you are loading a machine you didn’t buy from us you may encounter a dial lock, so this step would be different. Open the vault door by turning the handle. 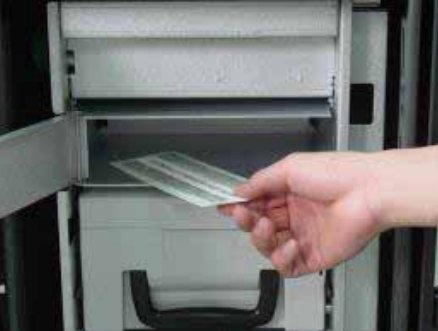 If a bill is too mutilated or wrinkled to dispense, or if a multiple pick occurs, the dispenser will send the notes to the reject bin. The reject bin is right above the cash cassette. Some reject bins require a key to open, others you can just pull on it and it will open. 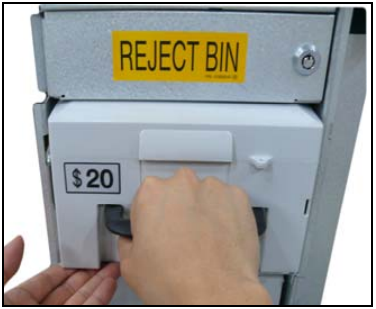 The reject bin can hold up to 200 bills so you can usually go a long time without having to empty it, but most loaders check the reject bin every time they load. Some loaders choose to include these rejected bills with the cash they’re getting ready to load. Recycling bills from the reject bin into the cassette isn’t recommended since doing so might likely cause the same reject problem or bill jam. Since we already have a even-numbered stack of cash it’s usually easier to exclude them anyways. 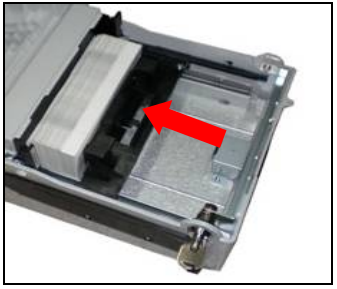 Inside the cash box there is a spring-loaded cash tensioner which holds the bills against the front of the cassette. Pull the cash tensioner plate back till it locks in place against the back of the cassette. Insert the stack of bills against the front of the cassette. If you used “best to worst” strategy mentioned above, make sure Jackson’s face is facing the front of the cassette, and the back of the bills are against the tensioner. Place the bills that were already in the cassette behind the new bills. Make sure that all of the bills edges are properly lined up with each other and that no bills’ edges are sticking out more than others which would cause the edge to fold. 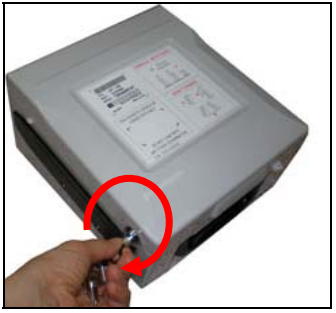 After inserting the cash, release the cash tensioner plate. 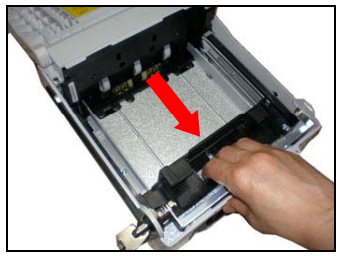 Allow it to take position behind the notes until the cash makes contact with front of the cassette. Close lid on cassette. Turn the cassette key counterclockwise until it is locked. 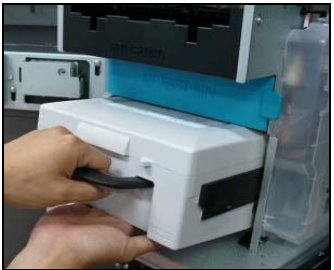 With one hand holding the cassette handle and the other hand supporting the cassette from the bottom, place the cassette carefully on the set guide rails of the dispenser and push it in until it is locked in place. Close vault door. Turn the handle making sure that it’s locked. Close and lock the outer door (security cover). Settlement: Update the # of Bills in the ATM’s Operator Menu. 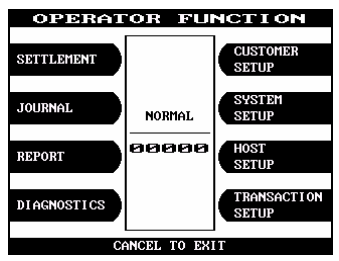 Operator Function Screen will appear and you will be prompted to enter your passcode. Enter number of bills you added, not value. 50 notes =$1000, remember we are dealing in denominations of $20. 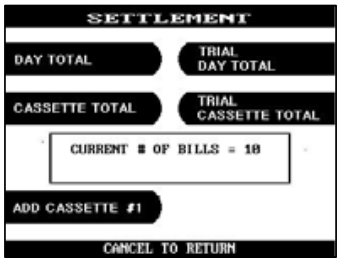 There are 100 bills in the cash cassette and in the settlement menu it says Current # of Bills = 100. You wish to add 50 more bills to the same cassette, you press Add Cassette, then type 50 from the keypad and press enter. The current number of bills will now be 150. Now press the cancel key three times until the welcome screen appears. Do an invalid PIN test transaction. After the ATM has been loaded, we usually do a fake test transaction to make sure that the ATM is communicating properly. To do this, just use the ATM normally like you would if you were going to withdraw money. When the ATM asks you for your PIN, instead of putting in your actual PIN, just put in 1111 or any random numbers. Then go through with the transaction as normal, ask for $20, and the ATM will make a request to your bank. If the ATM tells you “invalid PIN” or something similar, that means it communicated with the network and you are in good shape. If the transaction doesn’t go through, you might need to check your connection. Now you know how to load an ATM . It is a quite simple process. As mentioned above, the process might be slightly different depending on which machine you are using. For more specific instructions for the machine you are using, you can usually find an ATM operator/user/owner’s manual PDF online for that particular machine which should have the exact instructions. If you would like to purchase an ATM from Prineta and load it yourself, or have Prineta place one of our ATMs at your location which you can load, contact us through the form below.